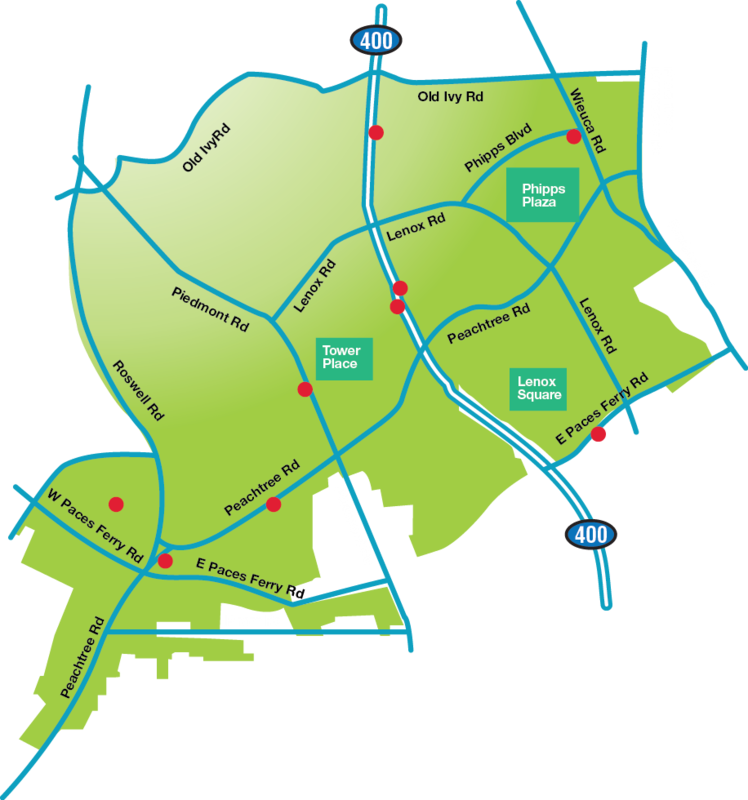 Atlanta – April 19, 2016 – The Buckhead Community Improvement District (BCID) announced at their April 15 board meeting a new partnership with award-winning New York City-based ROGERS PARTNERS Architects+Urban Designers (Rogers Partners) for the Park over GA400 design and vision plan. With this contract, BCID will work with Rogers Partners on the overall plan, not to exceed $250,000 for the first phase of work. The Rogers Partners team, which includes design partners Nelson Byrd Woltz Landscape Architects (NBW), will begin work on a detailed schematic plan, funding strategy, engineering and management structure for a world-class park. Rogers Partners will work with BCID to interview key stakeholders, analyze site conditions, develop preliminary project costs and produce site-specific concept graphics for use in pursuit of project funding. 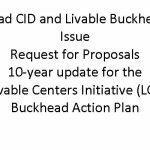 ­­­­BCID solicited proposals in January to further evaluate planning, design, engineering, costs and funding models of the concept of a Park over GA400 and the Buckhead MARTA station. The concept is envisioned to create up to nine acres of open space out of thin air in the heart of Buckhead’s commercial core. In addition to NBW, the Rogers Partners-led team brings together multi-disciplinary design firm ASD | Sky; engineering professional services firm WSP | Parson Brinckerhoff; real estate experts HR&A Advisors; planning and design firm, Perez Planning and Design; structural engineers Guy Nordenson and Associates; architectural lighting designers Renfro Design Group; and sustainability experts Sherwood Design Engineers. Coxe Curry & Associates, Ernst & Young Infrastructure Advisors and ETM Associates will oversee aspects of financing and operations for the project. The objective of the Buckhead Community Improvement District (BCID), working with the City of Atlanta and its community partners, is to meet the challenges resulting from Buckhead’s rapid, primarily automobile-based growth, including improving traffic mobility, enhancing the pedestrian environment, creating better access to public transit, initiating intra-district transportation alternatives, encouraging better integration of land uses and improving linkages to the region’s automobile, transit and bicycle networks. BCID or connect via Facebook, Twitter and YouTube. Based in New York City, ROGERS PARTNERS Architects+Urban Designers (Rogers Partners) is a comprehensive, cross-disciplinary studio nationally recognized for designing provocative and transformative public spaces. Rogers Partners creates regenerative 21st-century environments where architecture, landscapes, and urban spaces converge. The firm’s projects have won more than 60 design and industry awards and have been presented in prestigious exhibitions, including the Museum of Modern Art in New York City. Recently completed projects include the Henderson-Hopkins School in Baltimore, Maryland; the SandRidge Energy Commons corporate campus in Oklahoma City, Oklahoma; and the new headquarters for international advertising firm Droga5 in New York, New York. Current projects include the redesign of both Constitution Gardens on the National Mall and President’s Park South in Washington, D.C.; the New St. Pete Pier, St. Petersburg, Florida; the Syracuse University Energy Campus in Syracuse, New York; and the Water Works Signature Park in Minneapolis, Minnesota. Founded in 1985, Nelson Byrd Woltz (NBW) is a 40-person landscape architecture firm with offices in Charlottesville, Virginia and New York City. Committed to education and conservation, the firm has been involved in a broad array of public and private projects including botanic gardens and zoos, public parks, private gardens and estates, academic institutions, corporate campuses and town planning. The firm’s work has garnered over 80 national and regional awards and has been widely published. Current projects include Hudson Yards in Manhattan Memorial Park in Houston (Texas), Centennial Park in Nashville (Tennessee), Coastal Maine Botanical Gardens, Cornwall Park in Auckland (New Zealand), Devonian Botanic Garden in Edmonton (Canada), and Brooklyn Navy Yard Naval Hospital Cemetery Memorial Landscape (New York). The work of the firm has been featured in numerous national and international publications and is the subject of a recently released monograph published by Princeton Architectural Press.